The University of Louisville, located on the banks of the Ohio River in the Commonwealth of Kentucky since 1798, has earned its reputation as one of the country’s leading educational institutions. The splendid campus is near the heart of the city, and the University prides itself on the architecture of its buildings and the beautifully landscaped grounds. The major thoroughfare into the campus is Eastern Parkway, heavily travelled day and night. As the final step of a campus-wide lighting retrofit, the University of Louisville facility maintenance staff decided to replace Eastern Parkway’s 82 existing 250W high pressure sodium luminaires with LED technology. The poles along the road fit the landscape nicely, and it was not in the budget to replace them. 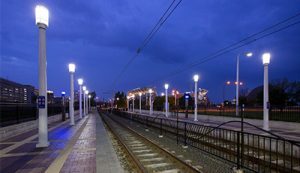 So they needed a post-top retrofit solution that delivered quality lighting, and could be economically installed by University maintenance personnel. Several months of searching revealed no product that fit the specification, until they connected with EYE Lighting and the LEDioc engineered LED solution. 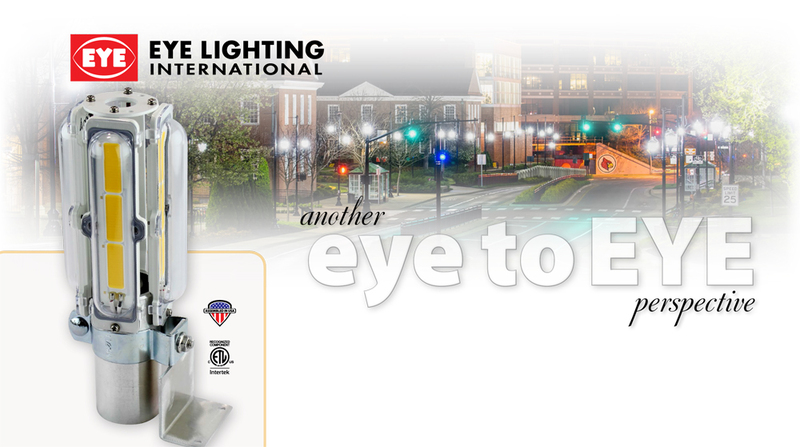 LEDioc is EYE Lighting’s unique, patented LED lamp designed specifically for retrofitting post top luminaires. Combined with EYE’s expertise in custom re-engineering of the mechanical package, the solution for customers like Louisville becomes attractive financially. “We lead the industry in our capability to provide custom LED retrofit solutions that result in improved lighting quality, and a payback timeframe that is especially attractive to educational institutions,” said Greg Barry, VP of Sales and Marketing for EYE Lighting. The University’s partner in the project was Eco Engineering of Cincinnati. 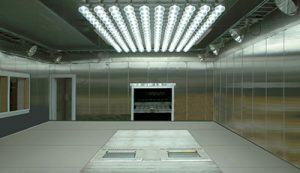 The company has performed thousands of lighting upgrades in millions of square feet of space. Matt Minard was the project leader for Eco Engineering: “A primary goal for the Eastern Parkway phase of the retrofit was lighting quality; we needed to assure a superior visual environment for both pedestrian and vehicular traffic. 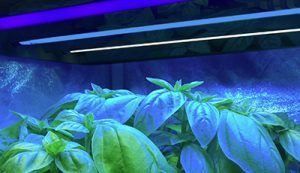 We called EYE Lighting because we learned of their growing capability replacing HID post-tops with a custom designed LED light source. We sent a sample luminaire to their engineering team, and the end result was a perfect LED retrofit kit. I believe the EYE LEDioc lamp was the best, if not the only, solution for this application. “The installation process was more than a pleasant surprise,” Minard continued. “It took only 20 minutes per pole to replace the old light source with the new 37W LEDioc, and the crew said it was simple and easy. And when the new lights were turned on, the news got even better. The light level is excellent, and the bright, crisp visual environment is just what Louisville was looking for. They are delighted with new lighting. It looks great. You can check out more information and the benefits of LEDioc Retrofit Kits here. Download a hard copy of this Case Study here.